Yusuke is definitely stunned (he knew all along that the person in the mask is none other than... Genkai... but now its not her) And all eyes were on the beatiful young woman.. Koenma gets confused who the girl was. no one knows. She returns her mask and gets ready for battle once again as Ichigaki's minions have recovered. Just then a huge mechanical robot enters the arena.. and here comes Kurama and Hiei, using the robot as transportation. Ichigaki is stunned by this turn of events, but still remains confident that his minions would win. 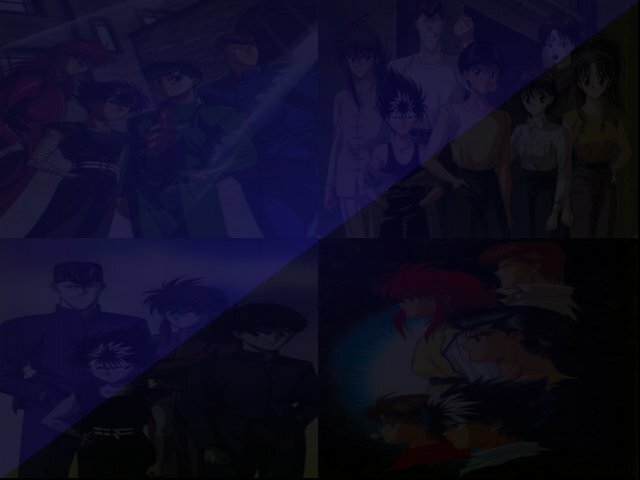 Kuwabara remembers part of his dream and pleads with En, Kai and Ryou to stop fighting since they are humans just like he is, but Ichigaki emphasizes the fact that as long as Ichigaki's mind-control device is implanted in them they will only act by his command... and suddenly his minions attack Yusuke once again. Yusuke tries to run to avoid the attacks, but Kuwabara remains still. He continues to plead with the three to stop fighting, and gets hit hard by their attacks at the process. Still, he tries to persuade them to change.. and somehow gets them to wake them up.. But Ichigaki again commands to attack and the three flurries in a barrage of powerful attacks... hits Kuwabara and he goes down hard.